It’s that time of year, where we’re all thinking about what we want to improve on for the months ahead. 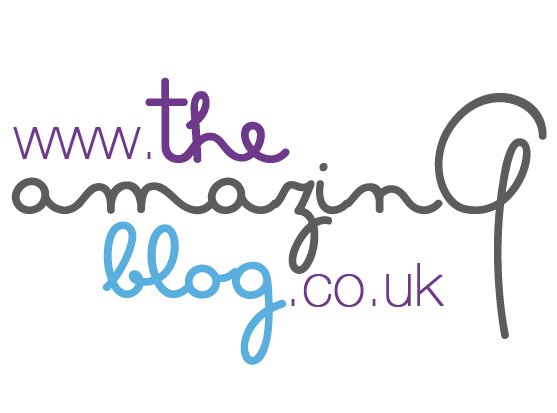 Here at The Amazing Blog, we always start off with good intentions, but struggle to see it through. As we’ve decided to dedicate more time to the kitchen in 2015, we’ve decided to make the task a little less daunting with a collection of great cook books. So if you’re looking to transform yourself from a cooking novice to a bona fide chef, have a look at our list of our fabulous recipe books. You’re sure to find some inspiration to help you stick to your New Year’s Resolutions. Tired of ramen noodles and frozen food? Cook Now Eat Later by Mary Berry has recipes that are delicious, straightforward and make your life a hell of a lot easier. Whether you are preparing a three-course meal or supper for one, you have over 100 foolproof and easy-to-follow recipes that allow you to prepare in advance, such as the Pork, Leek and Sage Burgers or the Quinoa and Rocket Salad with Garlic Dressing. The recipes include clear instructions on how to get one (or two or three) steps ahead. With some dishes you can prepare everything ahead of time and with others you can prepare both ahead of time and assemble the day you plan on eating it. Mary Berry is the much-loved judge on The Great British Bake Off and an author of more than 70 cookbooks. Take the stress out of cooking by purchasing her cookbook for £9.99 here. Ever wonder what Australian food tastes like? Us too, which is why we were so intrigued by Shelagh Ryan’s cookbook, Café Kitchen. The Australian-born foodie and owner of London’s three Lantana cafes has given us a repertoire of recipes for any time of the day in her new cookbook. You can make Toasted Muesli with Baked Rhubarb and Bubble for brunch or nibble on some Thai Fish Cakes with Nahm Jim Dipping Sauce for a mid-afternoon snack. Ryan makes it easy for us to experience Australia’s thriving cafe culture at home for a mere £14.88 here instead of paying for those pricey airline tickets. Meat eaters, rejoice! Charcuterie by Miranda Ballard teaches you about the history and types of charcuterie and salami, as well as providing tips about how to match different meats and what food to accompany them with. Some of the recipes, such as Grilled Chorizo and Scallops On Sticks are perfect to serve with drinks. You can find other recipes to put the delicious cured meat in like the Smoked Sausage Casserole. There are even recipes that show you how to cure your own pork belly or duck breast. Ballard and her husband have their own food company called Muddy Boots and have also opened a butchery and charcuterie shop and café called The Modern Meat Shop in London. All you meat lovers out there can purchase Charcuterie here for £16.99. No matter what kind of dinner party you are invited to, it’s always a safe idea to bring a dessert. Bake Me a Cake as Fast as You Can by Miranda Gore Browne provides over 100 delicious and quick cakes, tray bakes and cupcakes for all occasions. Whether you are preparing for afternoon tea or a family members birthday party, these desserts are perfect for anyone who needs something homemade but doesn’t have time to waste in the kitchen. The book is suitable for both beginner bakers and those who are more experienced. The Coffee and Walnut Cake and the Daisy Chain Angel Cakes sound absolutely delicious, plus, the recipes are simple to follow and don’t require any special equipment! Miranda Gore Browne achieved widespread claim as a finalist on the first series of BBC2’s The Great British Bake Off. She now runs a successful blog full of recipes and baking ideas. Go here to purchase Bake Me a Cake as Fast as You Can for £11.99 so you no longer have to show up somewhere pretending you actually made that dessert. If you’re looking to brush up on your Eastern cooking skills, then have a look at The Yunnan Cookbook by Annabel Jackson & Linda Chia. The Chinese cook book is inspired by the relationship between food and culture, and so it offers some fascinating insight into the Chinese way of life, as well as helping you to knock up some of their delicious recipes without having to put a call in to the local takeaway! From Egg Rolls to Fried Yunnan Goats Cheese With Tomato Salsa, the book is chock full of amazing and tasty treats to experiment with in the New Year. Buy the book here for £17.25 and transform yourself into an Eastern chef. Food channels ain’t got nothing on us thanks to these cookbooks. We hope you enjoy them too!